Upgrading to a big kid bed is monumental for kiddos and us parents. Thanks to a sturdy bed rail, we can rest assured they’re snug as a bug in a bed. But let’s be honest… plain rails are an eyesore in an otherwise adorable room. One mom decided to combine safety and style by creating Cosie Covers. 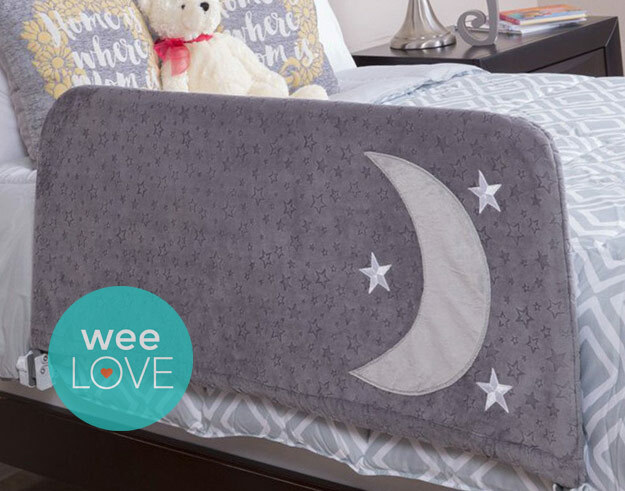 These fitted children’s bed rail covers are made with ultra soft fabric, just like a beloved blankie. The designs are simple and sweet—a perfect compliment to any room decor. There’s even an inside pocket for your tot to keep his or her favorite things (books, sippy cup, stuffed animals) to add extra “security” at bedtime. Cosie Covers are made in the USA and machine washable. The best part? They make bedtime more fun. Cosie Covers fit swing-down rectangular bed rails (not crib or toddler rails). So be sure to check the sizing before ordering. It’s easy peasy to purchase both the rail and the cover on their site. 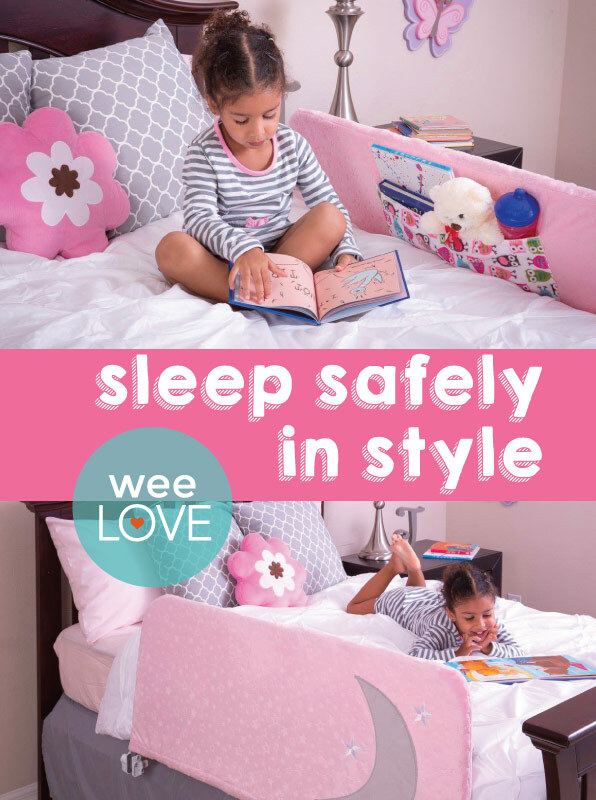 Ready to say buh-bye to the boring bed rail and hello to a “cosie” night sleep? Previous story weeLove: Wanna Talkie?